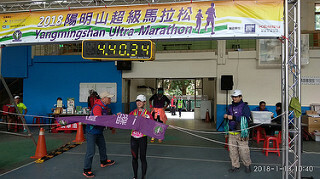 Report: Taipei Yang Ming Shan Ultra Marathon 2018 (by healthobeing) | JustRunLah! 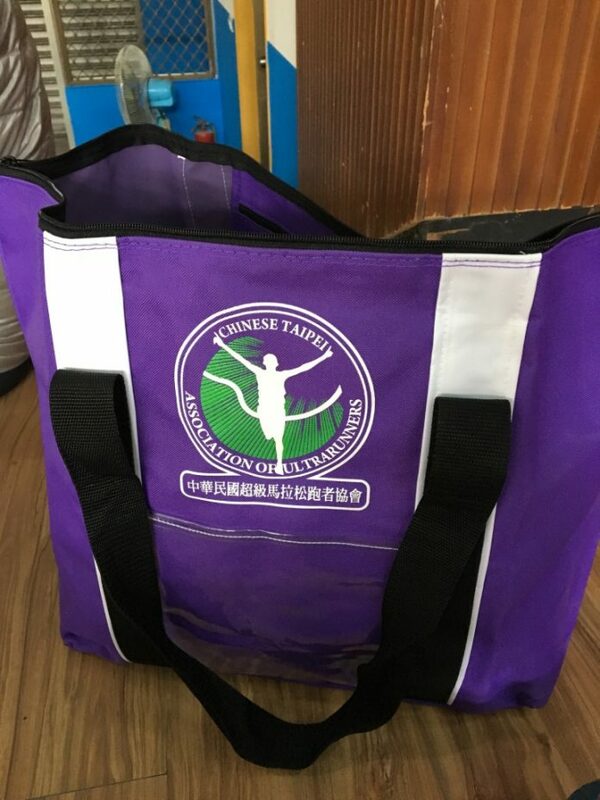 Taking a long break from work and stuff to Taiwan for two months allowed me to take part in 2 runs in this travel destination this year, which to most Singaporeans, for food shopping and sight seeing. Taiwan actually has very interesting nature to offer and being an island near to Pacific Ocean, the island is also good for many watersports. 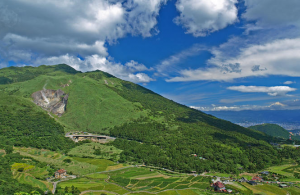 The island centre is the Central Mountain Range where the Jade mountain ( Yu Shan) lies, one of the highest mountain on the island standing near to 4,000m in height. It is definitely a wonderland for hikers. Many races take place here in Taiwan, not just running road or trail but also Bikes and Swim. Being more of a runner, I signed up for the Yang Ming Shan ultra marathon. 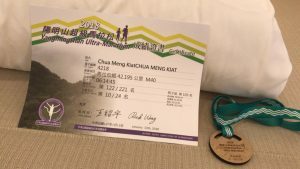 This race although takes place in the Yang Ming Shan National park, is organised by the Chinese Taipei Association of Ultrarunners. This group of runners usually do distances longer than FM and they organise trainings for long distance running. YMS national park is has many walkway paths and roads constructed for tourists and hiker, there are also many interesting unexplored trails. The race starts off at the Zhi Shan Sec School which is near to the Shilin Subway station, you can take a local bus there or take the taxi which is rather cheap. 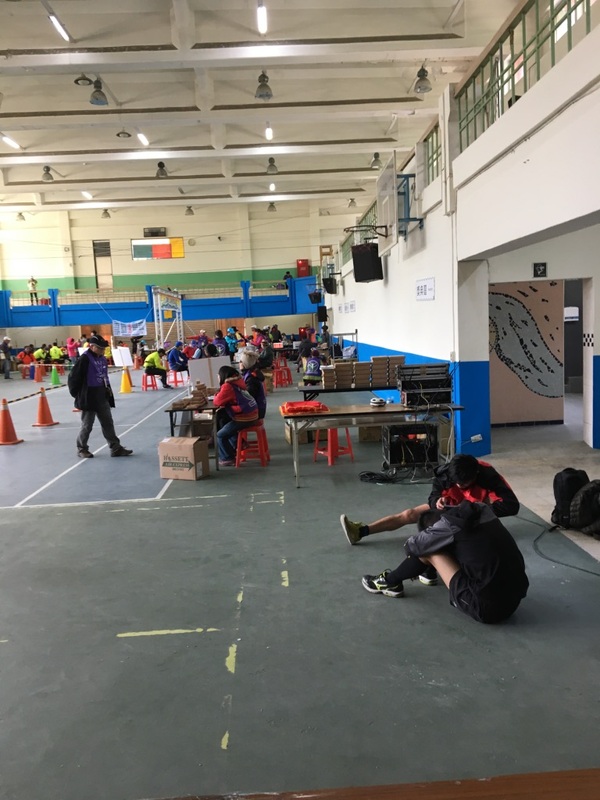 The race start is just out of the school’s hall, they converted the hall to a race rest area for participants to take their bibs and also to bag drop, freshen up. The longest distance for the race is 66km, but I opted for the 42 km instead as I feel comfortable running that distance. For about 50 dollars SGD, you get a long sleeve race tee, a running bib with time chip ( which you will get refunded about 5 SGD if you return the chip at the finish point. This race is always around February yearly, this year we were lucky that the weather was sunny although to me it is still cold. This period is still the winter period, so do remember to prepare for cold weather when you come for the race. 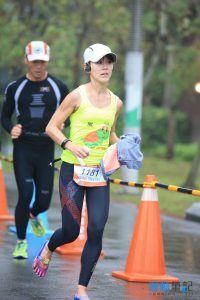 Taipei gets rainy during this season, based on past participants, they were always drenched out at the race. The course itself is very undulating with winding roads and slopes, for the 42km, it is basically two hills up and a U turn and return to the school itself. 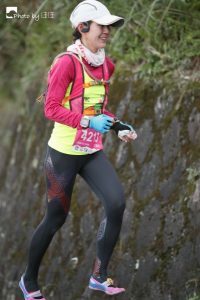 Struggling through the course, I realised that I would not be able to run this race with the usual Road marathon speed due to the undulating nature of the course. Along the way we were replenished water points, that not only served water but also isotonic drinks. Biscuits, fruits and even hot ginger tea came in timely for the cold weather. The ending part is all the way down slope into the Secondary school. With the clock at the ending, it makes you feel like a champion! This race is rather boutique so it is not as crowded and full of runners in the usual case. At the ending point there were also hot noodles for the runners doing FM and above, there were also the usual banana, hydration. There are also toilets around for your to have a quick change up. There are however not hot water facilities provided so it is still cold and you have to remember to bring your jacket to keep warm. You get a recycled material finisher’s medal for this race, which I thought was quite good as most of the metal medals are not practical and after a while you do not know what to do with them. This recycled material is light weight and felt like wood, making it easy to bring around. 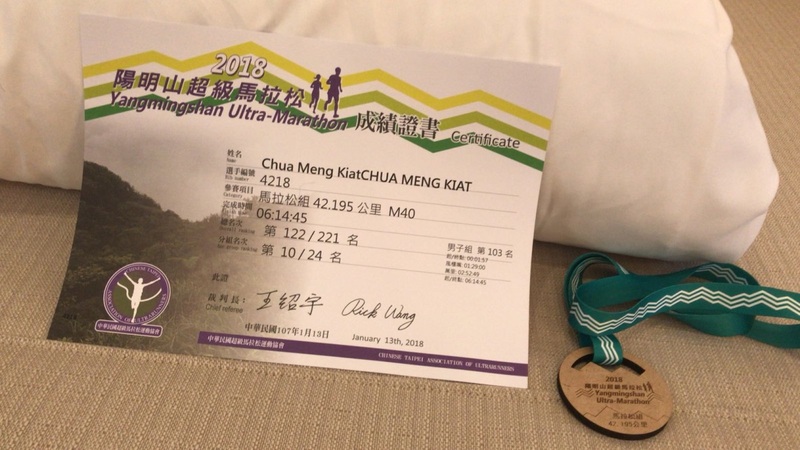 Overall, this race is rather good I think for those who want to enjoy some natural beauty of Yang Ming Shan and colder weather, this is good.